The Manitoba Métis Federation is demanding an apology from Manitoba Premier Brian Pallister over what they call “disrespectful statements” he’s made about the MMF and its leadership. The Manitoba Métis Federation is demanding an apology from Manitoba Premier Brian Pallister over what they call "disrespectful statements" he's made about the MMF and its leadership. Delegates at the MMF's annual general assembly also voted to stand behind a lawsuit filed against the provincial government over a $67.5-million deal struck between Hydro and the MMF that was killed by Pallister in the wake of mass resignations at the utility last March. The MMF filed its legal action against the provincial government in June. The resolution, which the MMF says was passed unanimously by the more than 3,000 delegates at its annual general assembly Sunday, comes a day after the federal government announced a $154-million reconciliation agreement that moves the MMF an important step closer to its ultimate goal of self-government. "We've just seen today at this assembly and yesterday with the announcement about the federal government moving forward, we literally have a provincial government that is regressive and actually going backward and is setting reconciliation in this province back generations," said MMF lawyer Jason Madden after Sunday's vote. "When you make deals with Indigenous peoples, the idea that these are written on disappearing ink is just not acceptable." The agreement quashed by Pallister would have assured MMF support for the $453-million Manitoba-Minnesota transmission line, targeted to be completed and send power to the U.S. by 2020, as well as other Hydro projects throughout the province over the next several decades. 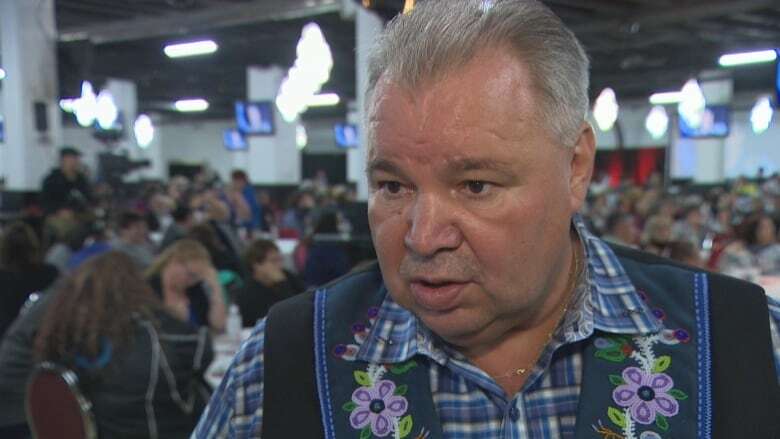 Manitoba Métis Federation president David Chartrand has previously said the agreement would save taxpayers millions by avoiding unnecessary litigation and delays over major Hydro projects. Pallister, however, disagreed, and said the province wouldn't agree to the deal. The federal government's agreement announced Saturday builds on the Framework Agreement for Advancing Reconciliation signed in November 2016, as well as the 2013 Supreme Court decision recognizing Métis land claims, potentially worth billions of dollars. The court found the federal government failed to follow through on a land deal negotiated with Louis Riel and the Métis people to end the Red River resistance in 1870, which led to the creation of the province of Manitoba. Madden said Pallister's decision to kill the Hydro deal flies in the face of the Supreme Court ruling. "We've seen this movie before — we've been taken advantage of before — but now the Manitoba Métis Federation is going to push back," he said. "We think that a court, when they finally see the facts and the evidence, they will see right through what happened and see that the honour of the Crown is upheld." 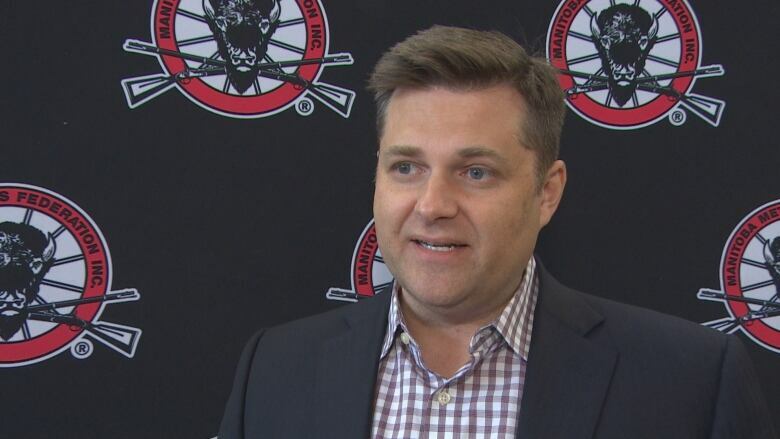 When Pallister announced his intention to cancel the Hydro deal back in March, he called the deal "hush money" for a special interest group, saying it is unlike other agreements which compensate people for lost land or encroachment on traditional territories. The premier's characterizations of the deal and the MMF were not well received by delegates. "We are not a special interest group, we are a proud people, a proud nation and a proud government," Chartrand said Sunday. "Every citizen here, from all across this province, is telling [Pallister] that it's wrong for any premier to do such an insult to the Métis people and we demand an apology." A spokesperson for the Pallister government said the government would not comment on a matter that is before the courts.